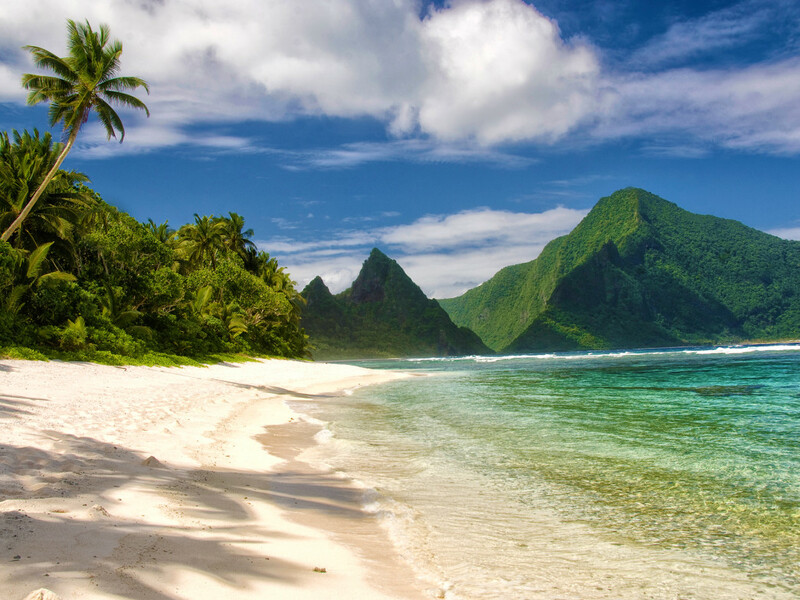 National Park of American Samoa. 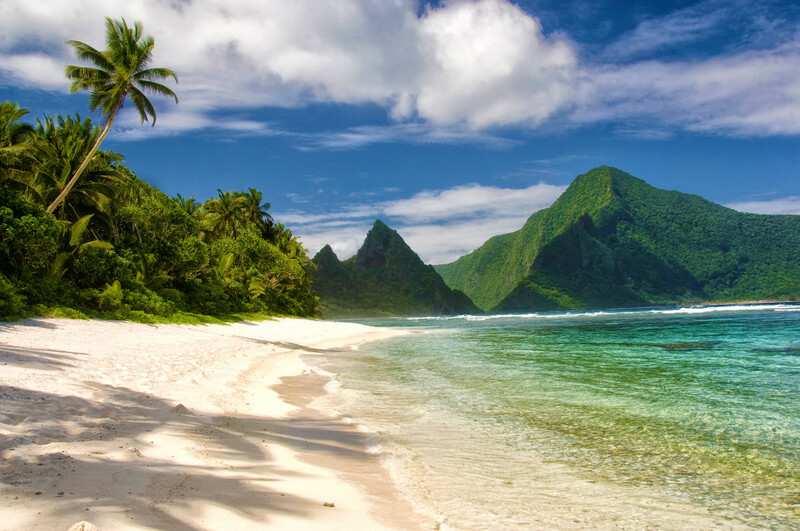 National Park of American Samoa. Nature and culture blend in this most unique of the national parks. Created to conserve not only the stunning natural features of mixed-species paleotropical rainforest and teeming coral reefs, but also the 3,000-year-old cultural heritage of the Samoan people, National Park of American Samoa is truly the hidden gem of the National Park System. Authorized by Congress in 1988, the park wasn’t officially established until 1993 when the U.S. government was able to negotiate with tribal chiefs to enable the National Park Service to gain rights to co-manage an area of rainforest, beach, and coral reef. In traditional Samoan culture all land is owned by the tribes and cannot be bought or sold. 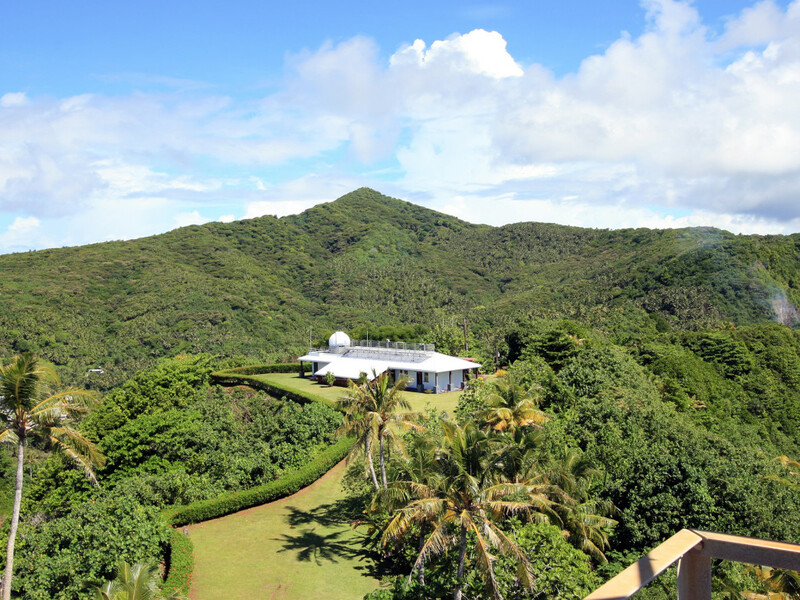 The park has a total of 13,500 acres (9,500 land, 4,000 marine) and has units on three tropical islands: Tutuila, Ta’u, and Ofu, in the Territory of American Samoa in the South Pacific Ocean. The only National Park south of the equator, it protects the habitat of Samoan flying foxes, a bat with a 3-foot wingspan, and a wide variety of birds, reef fish and corals. The National Park of American Samoa is a true partnership with the native people, who help manage the park and have rights for fishing and subsistence farming on the park land. On the small, remote island of Ofu, you will find coconut palms swaying in the warm ocean breeze along a secluded beach and the best snorkeling waters in the park. Featuring a 350-acre coral reef, don’t forget to bring gear from Tutuila to enjoy the underwater spectacular of what is often considered the loveliest beach in American Samoa. Snorkelers and scuba divers alike can spot up to 150 different coral species and almost 300 types of tropical fish in the waters. All hiking in the volcanic park is considered rugged and even the easy trails can be a challenge in the often-wet conditions. The same level of infrastructure that can be found in the main land National Park System is not present here, signage can be sparse, and maps inaccurate—solitude can be expected, even on the most popular routes. Make sure you’ve got plenty of food and water for even short trips and clear instructions from a local. The main hiking areas are mostly in the largest unit of the park on Tutuila Island. The most challenging of which is the well known Mt. ‘Alava trail. This trail is a rugged 7-mile round trip that winds through rainforest teeming with birds and bats, bypassing banana and coconut plantations. Some unique features include railroad ties and ropes to help with steep sections and panoramas of the central areas of Tutuila island. The trailhead is located at Fagasā Pass, 1.2 miles from Route 001 in Pago Pago. For a more moderate choice check out the Tuafanua Trail, 2.2 miles long, which switchback from Vatia Village through lush tropical rainforest to a hidden coastline. At the ridge-top, enjoy tropical ocean views before a steep descent on several ladders with ropes to a secluded, rocky beach and view of Pola Island. The trailhead can be found just before the Vatia School. Pola Island Trail is an easy, very short (0.1 mile), mostly flat trail that ends at a rough and rocky beach with coastline views. Beware the neighborhood dogs and drive past the last house at the end of the paved road in Vatia Village to start. 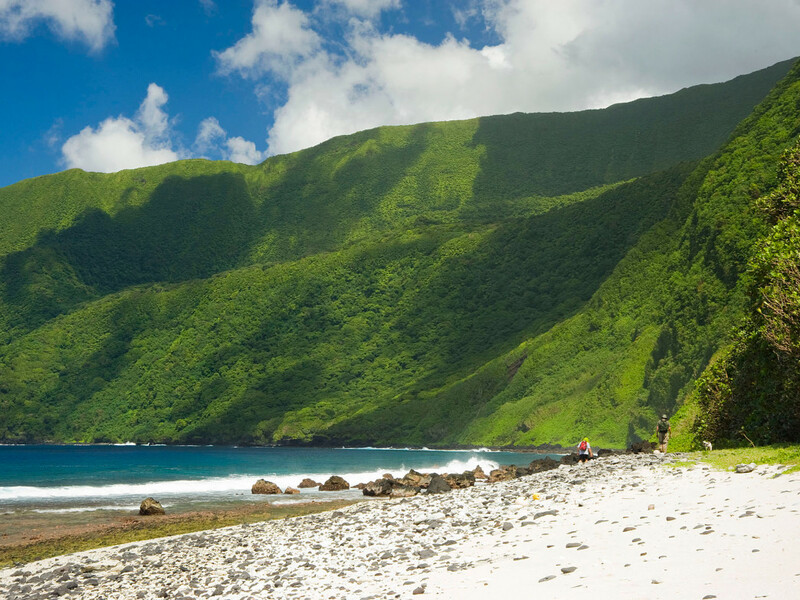 Parkland on Ta'u island, encompasses about 5,400 acres and offers up some remote and rugged hiking, including Lata Mountain, American Samoa's highest peak (3,159'). Oge Beach Trail is a moderate 3-mile trek that traverses the shoulder between Mata’ala Ridge and Maga Point, where a variety of native birds can often be seen. Follow the trail down slope past Maga Point to emerge at Oge, a remote coral rubble beach that faces Ta’u. The hike continues as a beach walk to Leala Point. This trail is maintained in partnership with the village of Olosega. Peak whale watching of southern humpback whales is from August through November. During this season, mother-calf pairs can often be seen playing just beyond the surf break. Most visitors start from Fagatele Bay. Sperm whales also stop by, as do porpoises and a variety of marine turtles. There are over forty mountains to choose from and many hills and valleys for mountain biking in the park and on American Samoa. The trails can be rocky, difficult, wet, and are not well maintained, so booking through a tour company for the best experience is recommended. There are only three native mammals on the islands, all of them bats. The giant Samoan Fruit Bats often perch in trees, not caves, and can be seen during the day. While the bats aren’t a secret, where they sleep and play certainly can be. Drop in at the visitor center, located in Pago Pago across from the Pago Way Service Station and ask the rangers who will happily direct you to the best locations to spot them. For a true immersive experience, many of the local villages offer Homestay experiences that can be arranged through the park rangers at the office. Each host has set the fee for accommodations and cultural activities for your Homestay visit. The cost varies with the type of accommodation, activities, and the village you will be staying in. These activities can include fishing, weaving, working in a traditional garden, gathering fruit from the rainforest, or collecting giant clams on the reef. You may even get the chance at spearing octopus or catching catfish with palm leaves at certain times of year. Gift giving is a gesture of Samoan hospitality and generosity towards visitors is common. If offered a gift, it’s customary to accept. Consider coming prepared for giving a personal belonging or some unopened store-bought food. No camping is allowed in the park. Mosquitos in American Samoa are known to carry chikungunya, dengue and zika virus. Take precautions. Many of the hiking trails cross private land and may occasionally be asked to pay a small toll and some trails may be closed on Sundays out of respect for local customs. Plan a visits to the smaller islands of Ta’u, and Ofu for early in your visit. They can be challenging to get to/from in inclement weather and chances of getting there increase if you can be flexible. Temperatures are warm or hot year-round (high 70’s to low 90’s F) with high humidity and frequent rain (more prevalent during the rainy season, November to May).